The 89th Oscars Nominations Announcement will be streamed live on YouTube at http://www.youtube.com/Oscars and on http://www.oscar.com. The Academy and the ABC Television Network today announced key dates for the 89th Oscars®. The Academy Awards® presentation will air live on ABC on Oscar® Sunday, February 26, 2017. 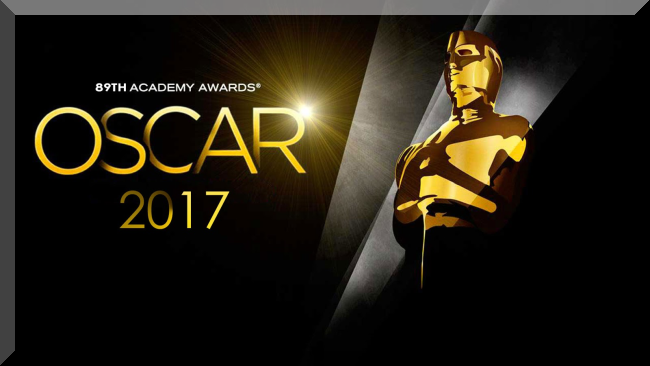 Tuesday, February 21, 2017 Finals voting closesThe 89th Academy Awards will be held at the Dolby Theatre® at Hollywood & Highland Center® in Hollywood, and will be televised live by the ABC Television Network.The Oscar presentation also will be televised live in more than 225 countries and territories worldwide.